Hard Disk Sentinel version 4.40 released today. Download the new version after clicking on DOWNLOAD button at http://www.hdsentinel.com or by using the automatic update from File menu. 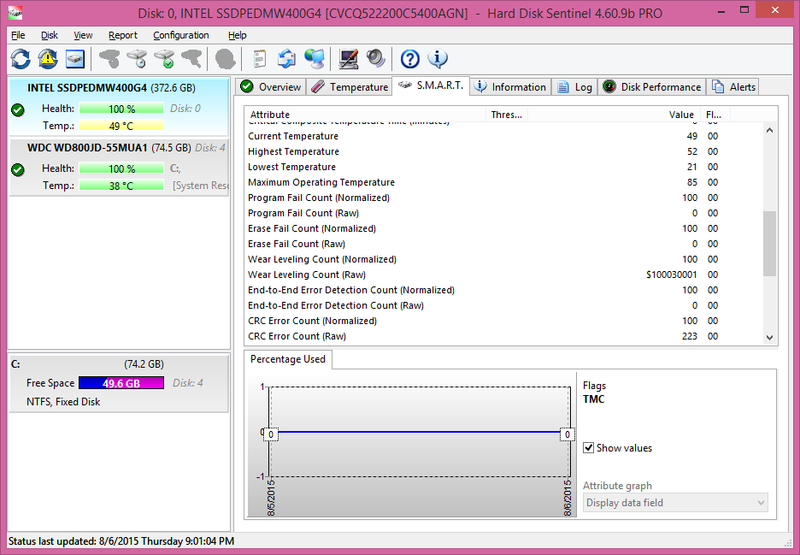 Hard Disk Sentinel version 4.50 released today. 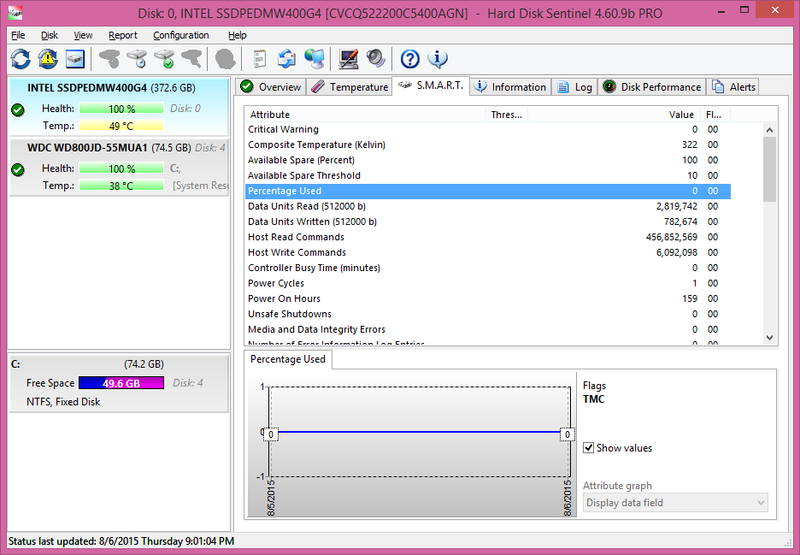 New Hard Disk Sentinel version 4.60 released and available for download. It is possible to update with the automatic update from the File menu or by downloading and installing the new version to the same folder where the previous one installed (no uninstallation required, just close the running Hard Disk Sentnel version completely by File -> Exit before installation). If you have successfully registered and activated any previous version, the updated version will be also registered and activated. If you plan to download manually, please make sure you download the correct version you already have installed (standard or PRO). - new function: determine file stored in any sector, useful to get information about possible damaged files on unreadable sectors. - new option: automatically detect and report all possible damaged files at the end of the complete surface scan. To enable, select Disk menu -> Surface test and in the new window, select Configuration tab. 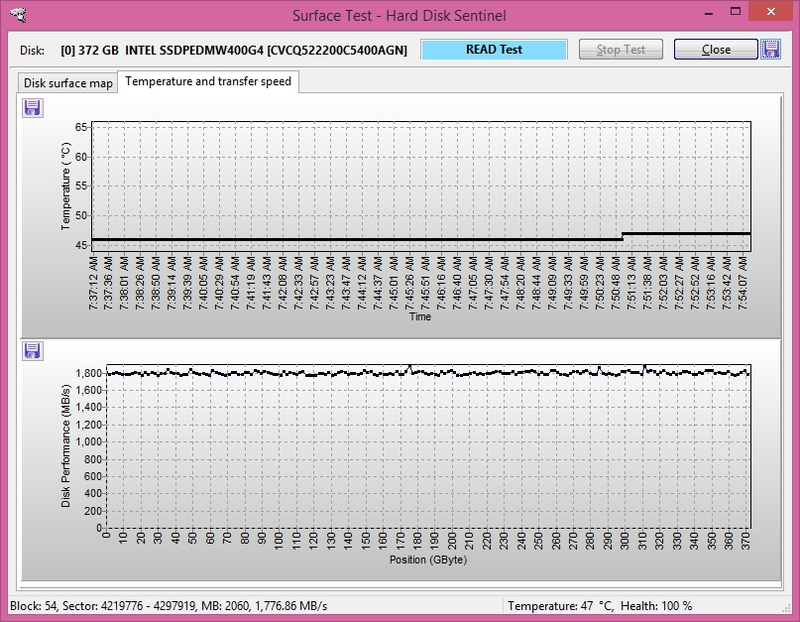 New Hard Disk Sentinel version 4.70 released and available for download. 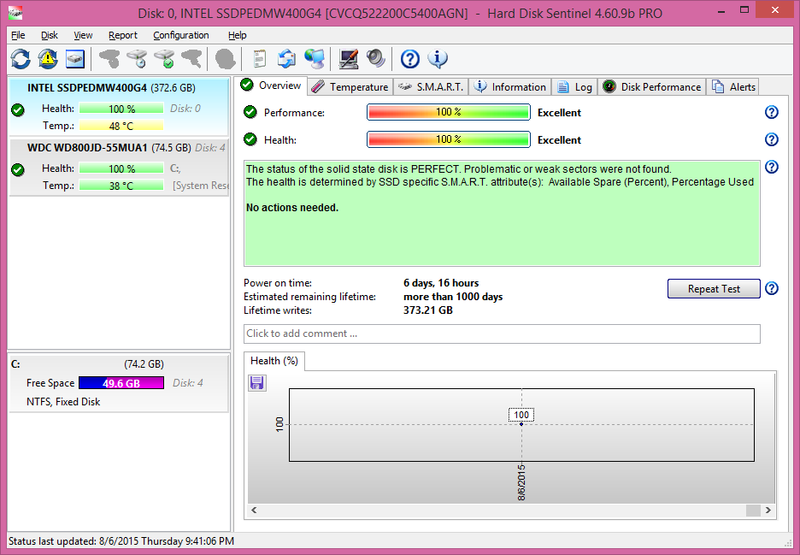 New Hard Disk Sentinel version 5.01 released and available for download. 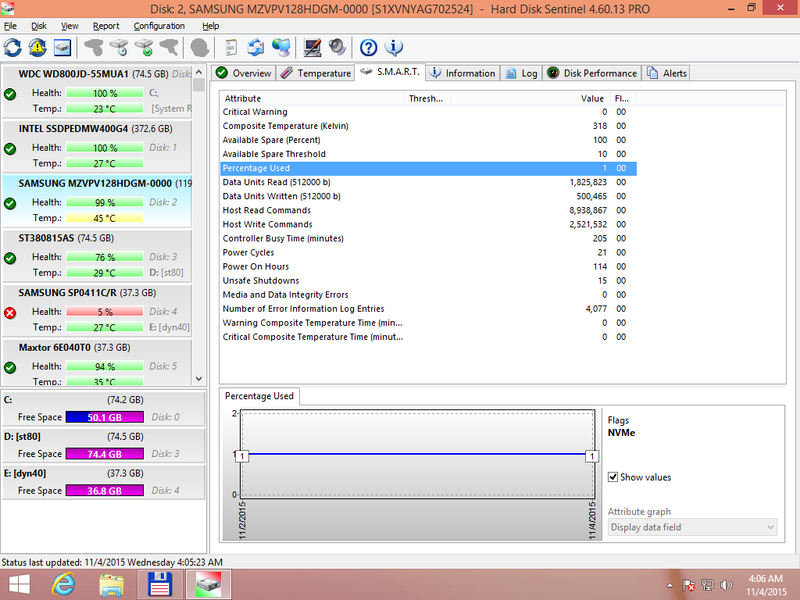 Now with 5th generation of Hard Disk Sentinel, it is possible to not only detect status of hard disks, SSDs, hybrid drives and drives with internal or external RAID controllers / enclosures, but also possible to determine status of additional NVMe SSDs, industrial (micro) SD cards, SATADOM devices and tape drives too! The new version has numerous new functions for example the Disk repair test which performs easier and faster repairing of weak sectors. Multiple disk testing is possible with some clicks - and version 5 has new integration / alert functions too (providing status by WMI, using Windows event log, perform detection based on the actual disk utilization just to name some of the new options). 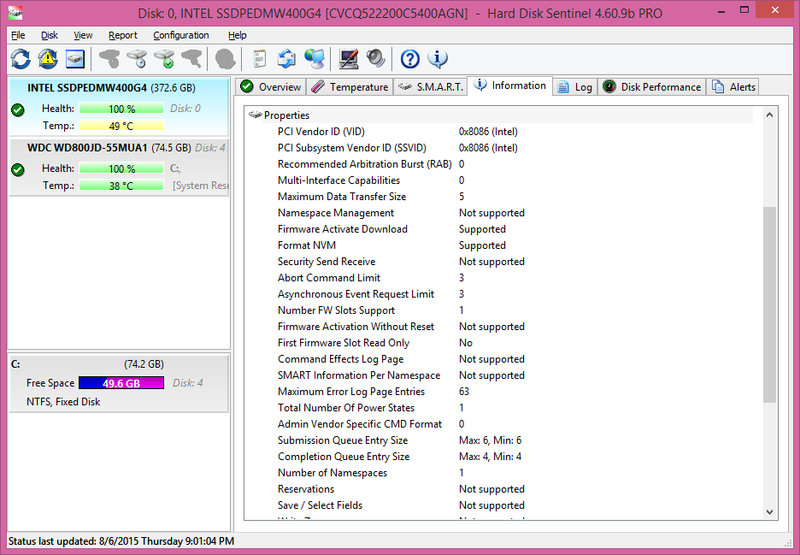 New Hard Disk Sentinel version 5.20 released and available for download. See www.hdsentinel.com for more details about the updates and download the new version. The automatic update from File menu can be used to update to the new version. 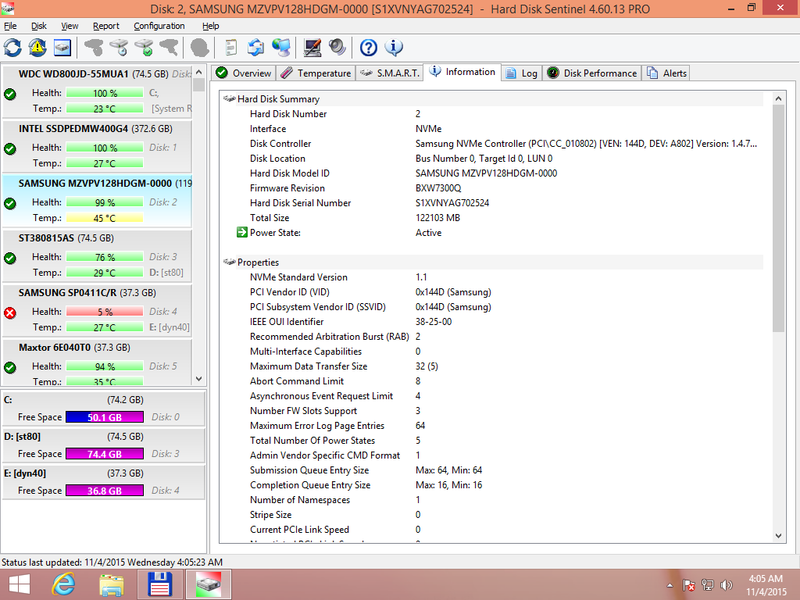 Hard Disk Sentinel 5.40 version released.